on QS Academic Survey responses. 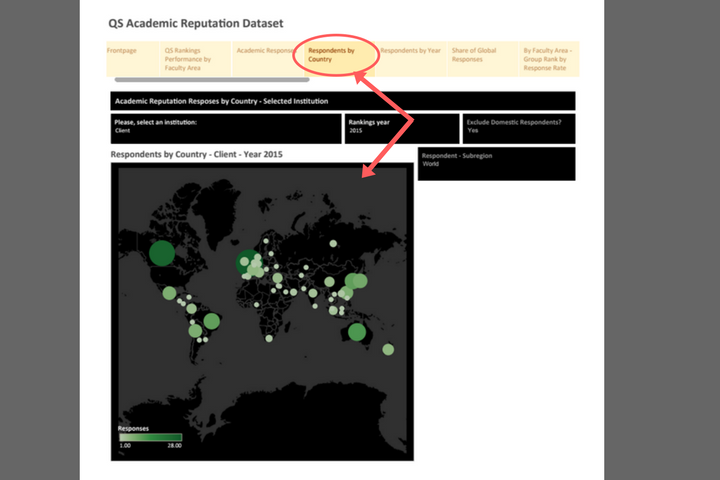 Utilize data independently and objectively gathered by QSIU from 75,000 higher education respondents in 140 countries, representing over 40 disciplines. 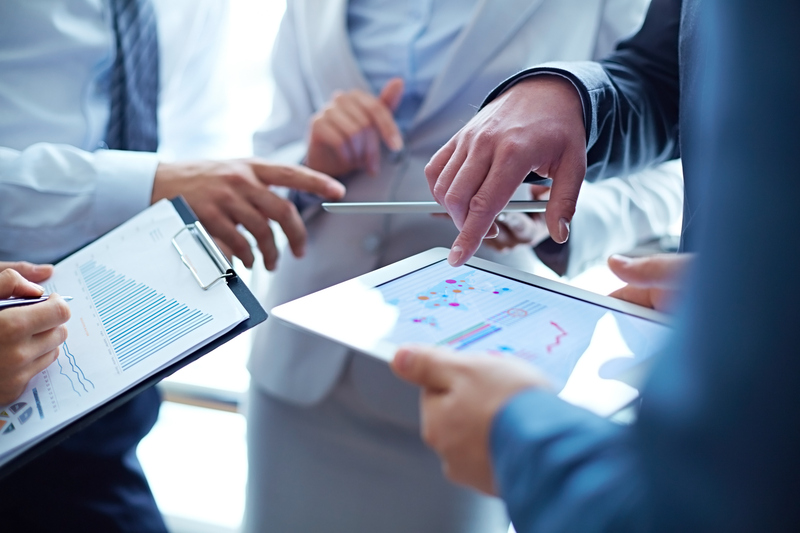 Request bespoke analysis reports or create your own through user dashboards, using our competitive intelligence to implement effective strategies. 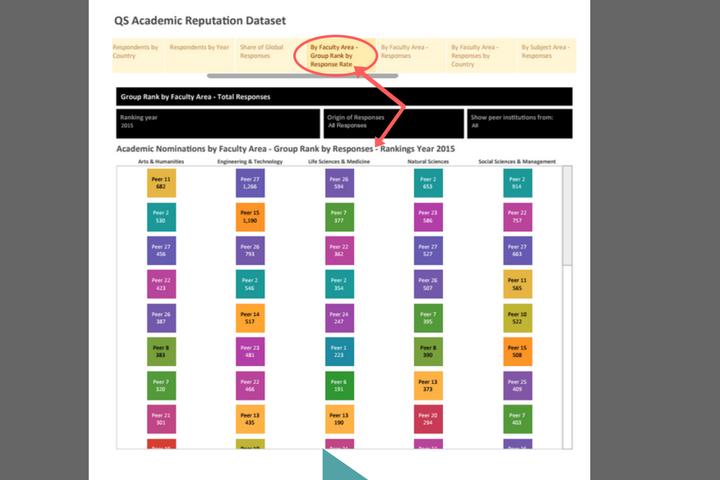 QS’s Academic Reputation Dataset pulls exclusive data from the Academic Reputation Survey, allowing comparison of your performance against a maximum of 15 selected peers. 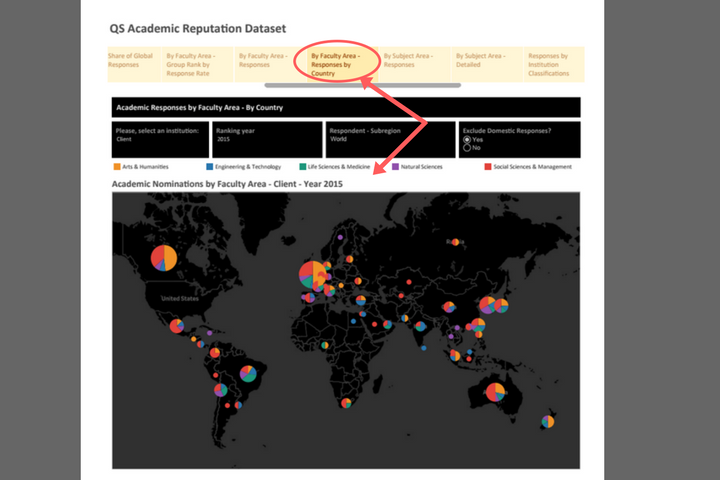 Filter responses provided about your institution by country of origin, subject, institution classification or job specification. Create your own visualizations with the support of our analysts or through our user-friendly dashboards to help your institution better understand the data provided. 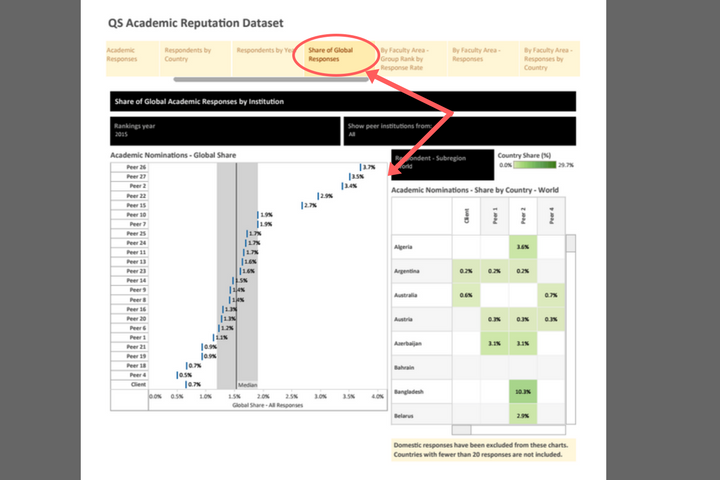 Our Academic Reputation Dataset is a great tool to improve your institution’s global recognition among prospective students and peers. 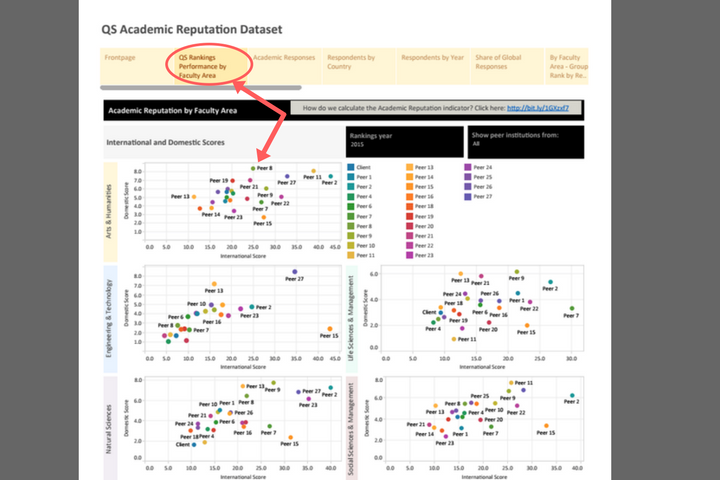 Use the QS Academic Reputation Dataset to gauge your academic performance on a global scale, which accounts for 40% of your institution’s weight in QS World Rankings. 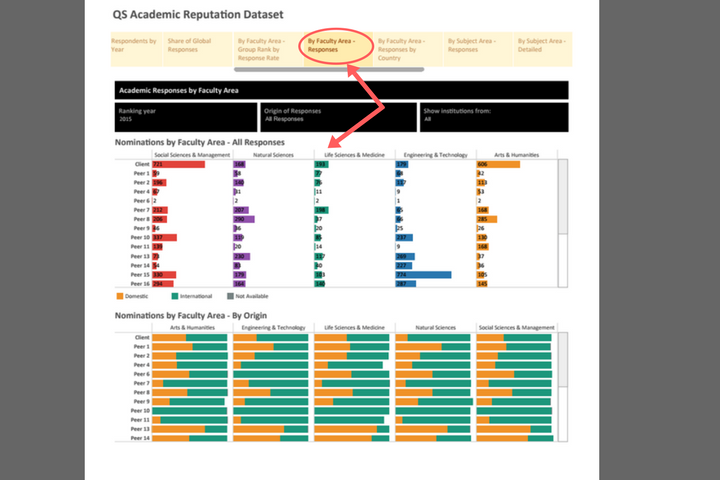 The QS Academic Reputation Dataset can easily be shared with members of your institution by exporting data from our easy to use client dashboard. Personal Details- name, institution, job title, classification, department, years in academia. Knowledge Specification- country, region, faculty area, field. Committed to the key values of rigorous integrity, undeniable value and charismatic presentation, QS Intelligence Unit (QSIU) strive to be the most trusted independent source of global intelligence in the higher education sector. Building on over 20 years of collecting institutional data, beginning with a global survey of MBA employers, our portfolio of research projects includes the QS World University Rankings, which has been in existence since 2004. 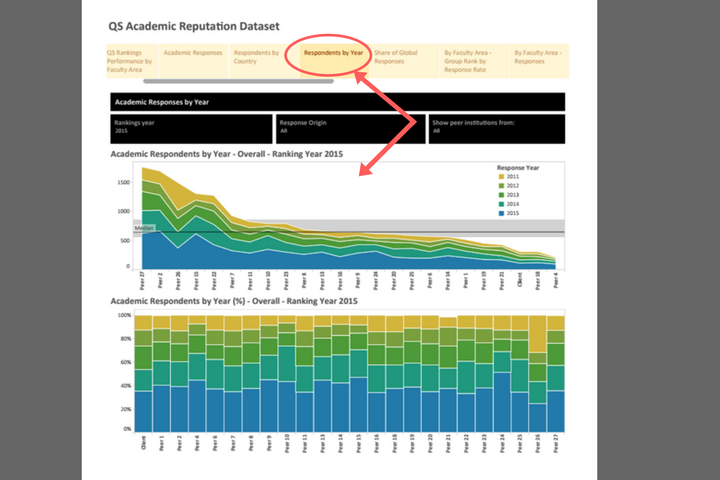 QSIU’s Academic Reputation Dataset provides your institution with data from the QS Academic Reputation Survey, containing responses from over 75,000 academics, which is used to determine 40% of an institution’s total score in the QS World University Rankings. 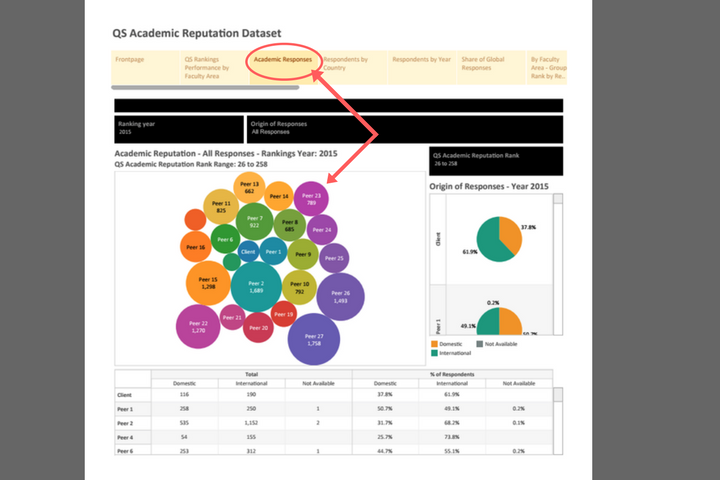 Insight into the Academic Reputation Dataset empowers strategic decision making, using high profile competitive intelligence, distinctive evaluation tools and transformational industry knowledge. Our trusted source of competitive and objective data/ analysis comes from a decision to reject many proposed criteria (e.g. financial metrics like research income) which cannot be independently validated or are subject to exchange rate and business cycle fluctuations. Performance by experience in academia and job classification. This information will be available for your institution and the peers you would like to include in the dataset, so you will be able to compare you performance with theirs.